In order to be able to better understand how to build our constructs to give us the best system for solving the knapsack problem we created a simulation of the cre-lox system. 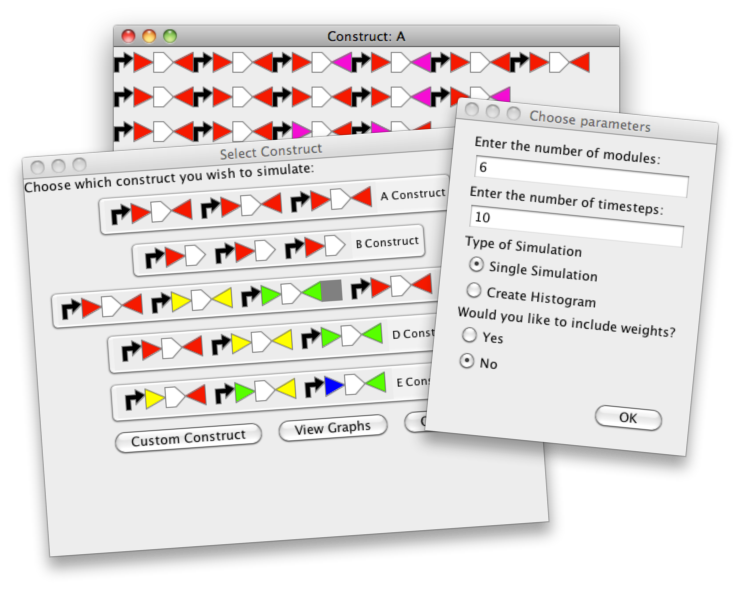 This simulation allows the user to test several pre-determined constructs that out team came up with. 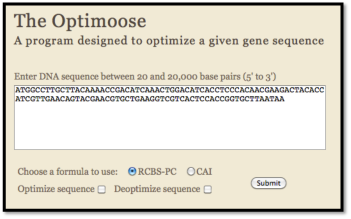 In addition, one can create their own custom construct from any number of promoters, lox sites, fluorescent proteins, essential genes, and/or terminators. 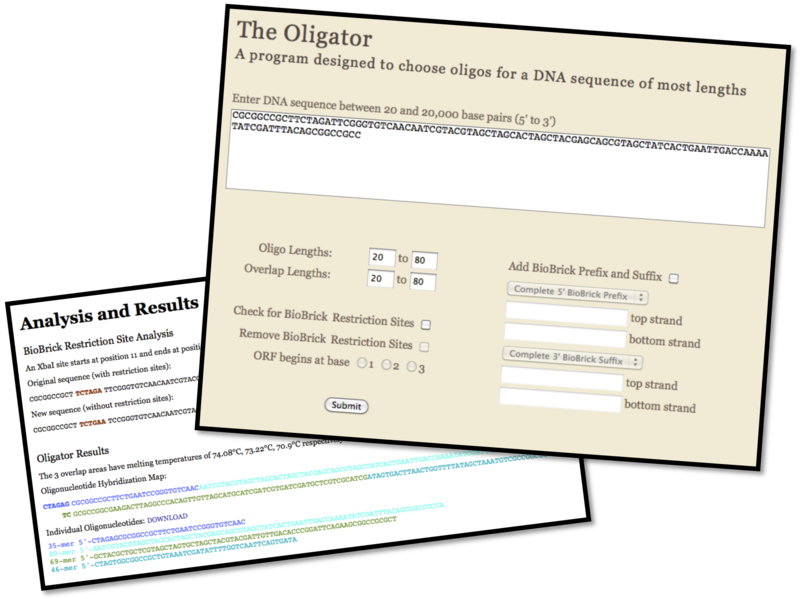 The program will then show either a single, animated simulation that will allow the user to see how the lox sites interact, or it will run many simulations and then create a histogram that shows the distribution of what fluorescent proteins were expressed. In addition, if the user chooses to include weights for the "items" and a capacity for the knapsack the program will tell you whether or not your construct has exceeded the capacity. In order to run the program, download the jar file. To see the actual percentages behind the histogram, the program needs to be run through a command line tool, but other than that simply double clicking the jar file to run it should be sufficient.